Sure, you would probably suspect for some of the world’s biggest brands to have a mass following on Twitter, but what about the chief executive officers behind those companies? While some CEOs leverage social media to tackle customer service head-on, most use it to simply tweet out relevant news about their respectable industries while putting a face on their brands. Here’s a look at six execs who boast more followers on Twitter than their employers. Branson has sent more than 6,500 tweets since he signed up on August 2007. To compare, Virgin has tweeted 42,000 times and opened an account in July 2008. 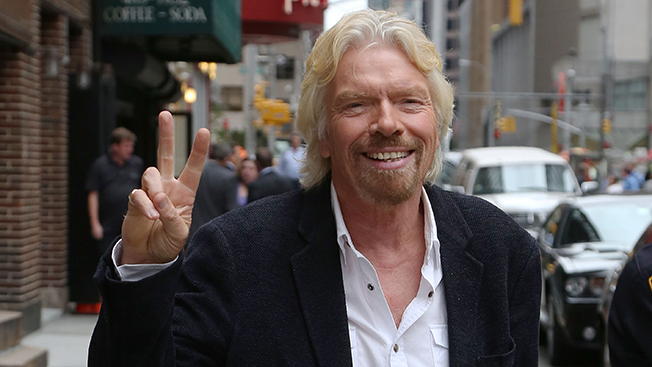 Branson gets lots of love on Virgin’s Twitter, though—the brand regularly tweets at the English businessman. Despite having a significant leg-up on Zappos’ Twitter followers, CEO Hsieh rarely tweets. Hsieh has only tweeted once this year, choosing to post a video of band Beau Hodges Band rocking out with choreographed flame effects in April. Meanwhile, the shoe retailer mixes up its daily posts with links to Pinterest, Instagram and its e-commerce site. T-Mobile CEO John Legere is likely not the kind of chief you would imagine to be in charge of one of America’s "big four" wireless companies. He has been kicked out of parties hosted by competitors, and he’s known for throwing a few f-bombs at public events. On Twitter, Legere’s banter is sprinkled in with customer service—he often directly replies to customers’ problems tweeted at him. The Square CEO/founder (and Twitter co-founder) is relatively selective in what he tweets—much like his appearances in the tech industry. Dorsey typically posts general news as well as noteworthy press about his mobile payment company. On the other hand, Square tweets solely about its products and press mentions. Dell's CEO regularly tweets about technology, events he attends and re-tweets Dell’s tweets to more than 800,000 followers. Dell’s account has pushed out more than 9,300 tweets since it was opened in July 2009, which includes links to the company’s products and resources. Earlier this month, Twitter had fun with Musk when he decided to "unveil the D"—Tesla’s latest electric car—from his account. But for the most part, Musk keeps his D to himself on Twitter. He tweets about his companies and other tech-related news a few times per week. Both of his companies have significantly smaller social fan bases. Since opening a Twitter account in February 2008, Tesla has tweeted more than 5,000 times, which unsurprisingly often includes lots of exterior shots of its high-tech vehicles.